Tri-Dosha pregnancy support oil. Enriched with Mandarin to revitalise and refresh tired over-worked muscles. Soothes and comforts the emotions and promotes a peaceful sleep. Active ingredients: mandarin. Get blooming with our nurturing pregnancy blend. 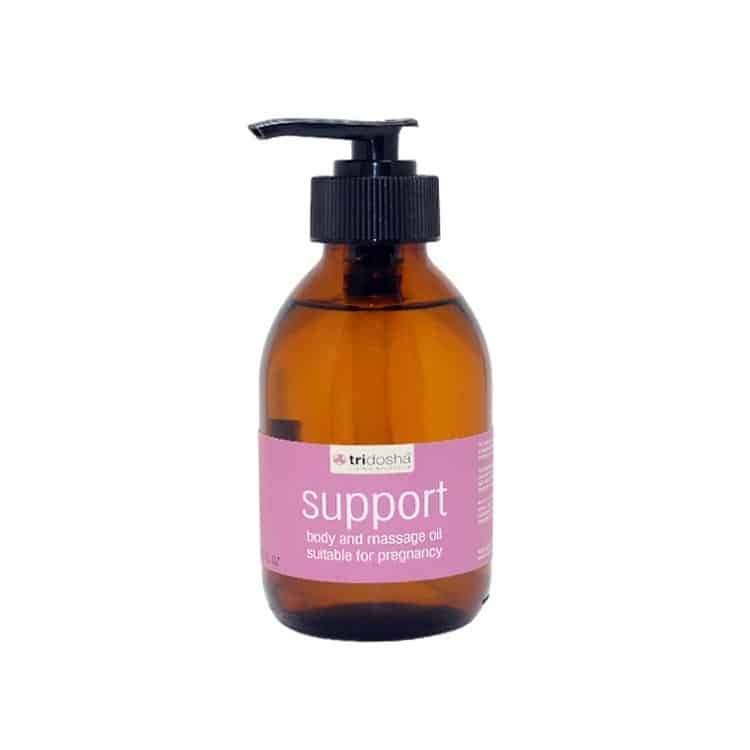 This natural massage oil is a comforting and supportive solution for relaxation and pain relief and will help ease tense muscles during your most important nine months. Makes a wonderful present for mums-to-be.